Basic Production Templates Pack comprise of 9 excel-based production templates essential for production planning and control activities; Rough-Cut Capacity Planning, Production Scheduling, Work Order Form, Work Order Tracking, Inventory Reordering, Inventory Status, ABC Analysis, Project Status Report and Workforce Analysis Templates. 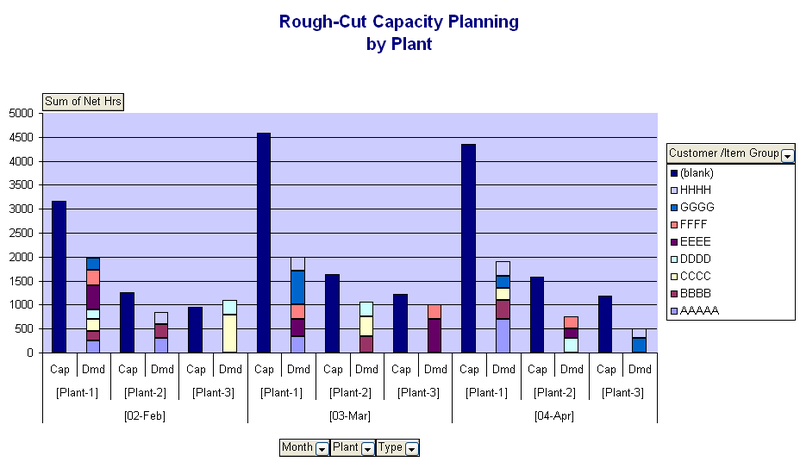 Rough-Cut Capacity Planning Template help you early involve in potential capacity issues and try to find any solutions to fix them before they happen! "Very accurate and easy to use tool. I would recommend it to any shop scheduler." Production Scheduling Template help you manage daily scheduling of bottleneck work centers to ensure that all work orders will be finished within order due date. "thank you, nice and practical to use." 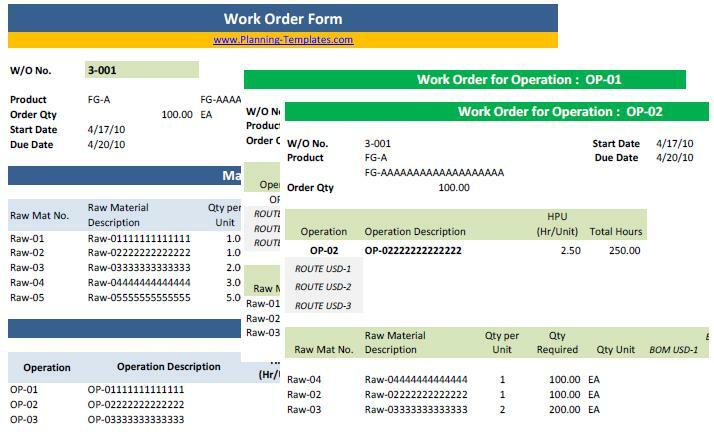 Work Order Form Template help you create Bill of Material & Routing, Design and Print Work Order Form, Material Requisition, Work order by Operation with material required in different formats for your work order systems.You also can identify which materials will be issued in the desired operation. Work Order Tracking Template help you have more shopfloor control by tracking on production order / work order status of all shop floor area and fix potential issue before effect on shipment delay! "I was impressed and satisfied with the template." 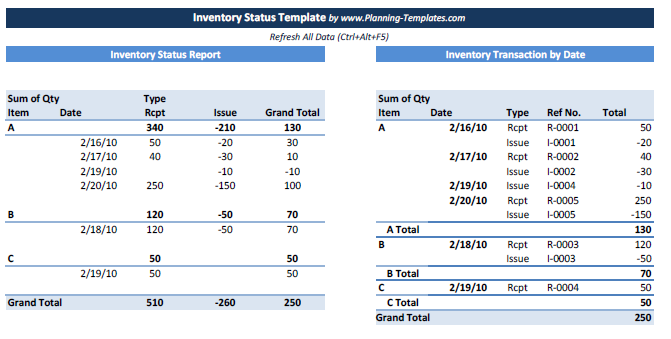 Inventory Reordering Template help you prevent material shortage using reordering report. By set up reorder point, reorder policy, minimum order quantity or lot size quantity. Inventory Status Report Template help you track material receipt and issue and help you have more visibility on material availability. 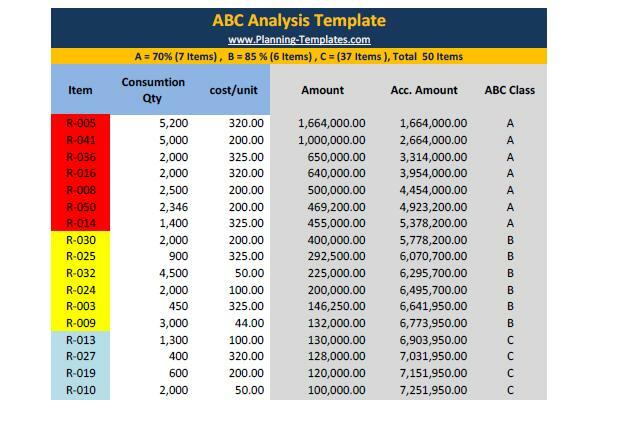 ABC Analysis Template help material manager focus on the high-value turnover of material first and the difference priority class will require difference level of the inventory control. 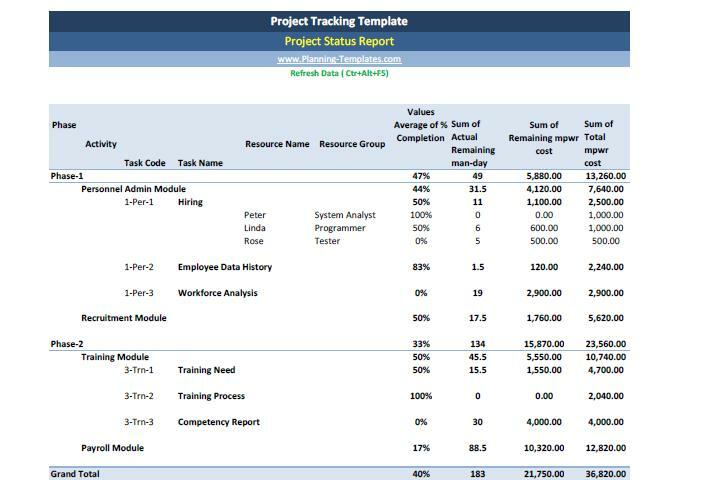 Project Status Report Template help you have more visibility of the progressive of work of your Project and provide up to date information of the remaining man-day required and manpower cost. 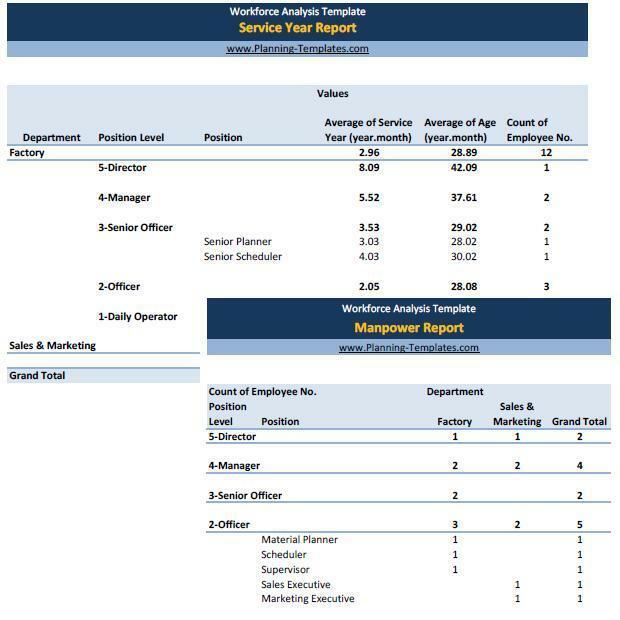 Workforce Analysis Template provide you manpower status report including organization structure - department and section, position and position level, age and service year information.